Casey and Zaq: will they be sitizens or citizens? 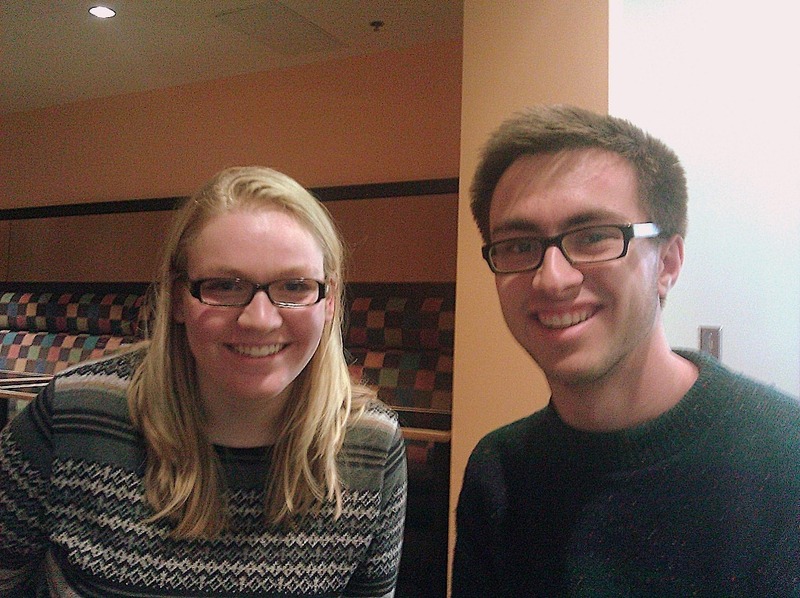 I met with two St. Olaf students yesterday, Casey Groskreutz (Madison, WI) and Zaq Baker (Eden Prairie, MN). … we have begun to build in an experiential component to the program. The students’ experiential work is designed to help them better engage with the community beyond St. Olaf’s boundaries and to explore the many dimensions of a key theme in American life. In this case, students will explore the historical, ethical and political dimensions of citizenship in both their academic and experiential learning. AmCon has the students paired up with engaged/active Northfield area citizens and I guess I’m one. Other "American Conversations Community Partners" participating: Beth Berry, David Bly, Ray Cox, Dennis Dempsey, Sandi Gerdes, Bonnie Jean Flom, Erin Mayberry, Reginaldo Haslett-Marroquin, Kari Nelson, Rhonda Pownell, Susan Sanderson, Jessica Peterson White, Erica Zweifel. During the fall semester, we expect that students will meet and conduct interviews with community members. In the spring, the American Conversations students will collaborate with a digital photography class to create photo/audio essays that will be used by the League of Women Voters to encourage informed and lively participation in public and civic life. 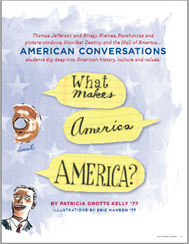 See the American Conversations Program web page for more, as well as an article in the 2009 issue of the St. Olaf Magazine about the program titled What Makes America America? which is where I got "sitizens vs. citizens" for the title of this blog post.